Non-Stimulant, Non-Effective?! Can Non-Stimulant Dietary Herbal Supplements Boost Your Resting Metabolic Rate? There are two types of alleged fat burners: Type I are the stimulants with proven beneficial effects on you resting metabolic rate and beneficial “side effects” on energy levels and (reduced) appetite. Type II are non-stimulant “fat burners”. Two of those have been tested in a recent study … learn what the study says. Amanda J. Salacinski, Steven M. Howell, Danielle L. Hill, & Steven M. Mauk, researchers from the Department of Kinesiology and Physical Education at the Nothern Illinois University didn’t miss that weight loss supplements are becoming increasingly popular – even in people with with chronic diseases (usually as a consequence of obesity). Even in healthy individuals, the list of side effects that have been reported for the various fat burners is long (Salacinski et al. highlight G.I. distress, and liver inflammation, which may accompany weight loss resulting from chronic supplementa-tion, in particular)… and while it is long, very long, in fact, it is hardly science based, because evidence controlled treatment trials in healthy and diseased patients are rare, insufficient or simply lacking. That’s bad news. After all, for most currently marketed OTC weight loss agents’ kitchen-sink approach to fat loss, there’s no evidence that they even work. “[…t]he Dietary Supplement Health and Education Act (1994) allows for the marketing of supplements without prior approval of their efficacy and safety by the Food and Drug Administration (FDA). Therefore, the safety profiles for many of these products are unknown, thus leading to variations in their composition and allows for the inclusion of inferior products (Stickel et al., 2005). Moreover, the majority of the research conducted within this area has primarily focused on the use of caffeine, chromium, and ephedra for weight loss, which contributes to increase user confusion and product uncertainty (Anderson, 1998; Greenway et al., 2004; Urbina et al., 2012)” (Salacinski. 2016). 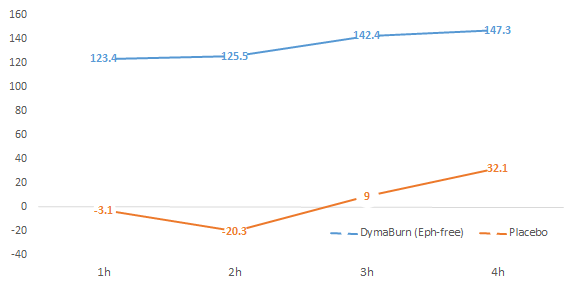 Figure 2: Effects of the ephedrine-free version of DymaBurn (caffeine, green tea extract, raspberry ketones and L-carnitine) fat burner and placebo on resting metabolic rate at 1h, 2h, 3h and 4h after ingestion; values in kcal / day (Urbina. 2012). The same goes for the desired “side effects”, namely an improved state of mood state that involves increased focus, alertness, and energy (Urbina. 2012)… all three effects are characteristic of stimulants, though, and thus exactly those fat burner ingredients of which Salacinski et al. wanted to determine whether they could be replaced with non-stimulant herbal supplements. No fat burner “burns fat”: Among those agents that won’t possibly kill you in no time, none will actively burn fat – not even those that have been proven to trigger significant increases in fat oxidation, like caffeine or green tea. They may help you to shift the weight loss towards body fat, but the <125kcal/day increase in resting metabolic rate from the caffeine + GTE combination I plotted for you in Figure 2 is not going to get you ripped without the help of concomitant dieting efforts. Fat burners are no magic weight loss pills and still, they can help you lose weight – especially the stim-based ones – because they may reduce appetite, increase energy and thus your ability to adhere to an energy restricted diet with or without concomitant exercise. Supplements like the kitchen-sink blend CelluCor CLK or the previously mentioned raspberry ketones. Two agents Salacinski et al. administered to 10 healthy female and 16 male participants (mean age 23.7 ± 3.9 years; mean weight 79.2 ± 18.2 kg) in a complex experiment. The latter involved three trials on separate days during the morning hours (0600–1100) during a 2-week interval. 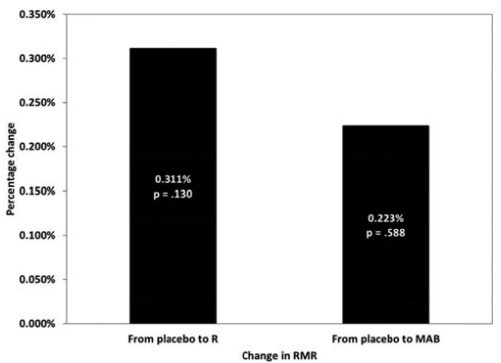 Figure 3: Changes in RMR after the administration of raspberry ketones or CelluCor CLK; p > 0.05 for both (Salacinski. 2016). “As recommended by Compher and colleagues (2006), subjects were instructed to refrain from exercising for 24 hours and from consuming food for 12 hours prior to testing. The participant ingested a placebo (an empty digestible capsule) or a dose of one of two supplements; CelluCor CLK or raspberry ketones (R) and CelluCor T7 or the metabolic activator blend (MAB) with water, upon awakening on the morning of each measurement session. The three softgel and two softgel tablets were considered to be a single dose of R and MAB, respectively, as recommended by the manufacturer. R was composed of 1.7 g of conjugated linoleic acid, 500 mg of l-carnitine tartrate, 100 mg of R, and 100 mg of 7-ketodehydroepiandrosterone. The MAB product consisted of 494 mg of MAB with an ingredient list of white willow bark, cayenne, 3-iodotyrosine, 3, 5-diiodotyrosine, 200 mg of zinc arginate chelate, 150 mg of sea weed extract. 66 mg of niacinamide, 66 mg of griffonia seed extract, and 0.2 mg of selenium” (Salacinski. 2016). The placebo (control trial) was always ingested on the morning of the first measurement session two hours prior to measurements. The supplement (R or MAB) taken upon awakening prior to the second and third measurement session was randomly determined by a coin toss, again two hours before the data collection. 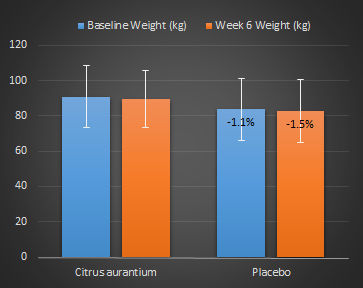 Whichever supplement was not taken prior to the second measurement trial was taken prior to the third measurement trial. At least 24 hours separated the first session (control) with the second session; and at least 48 hours separated the second session from the third session to minimize interference from the previous supplement. The results of this recent rel. small scale (N=26, no dropouts) study are plotted in Figure 3. Data from two participants were excluded from the statistical analysis because the data could not be adjusted to meet the acceptable criteria recommended by Compher et al. (2007) and Frankenfield et al. (2003). Despite the two exclusions, it should be obvious that the non-significant 0.111% increase due to raspberry ketones and the even lower increase due to CelluCor CLK are meaningless. Onakpoya, et al. 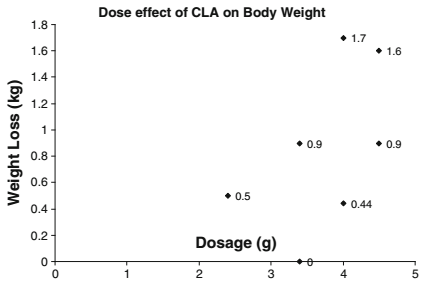 conducted a comprehensive meta-analysis on the weight loss effects of CLA. 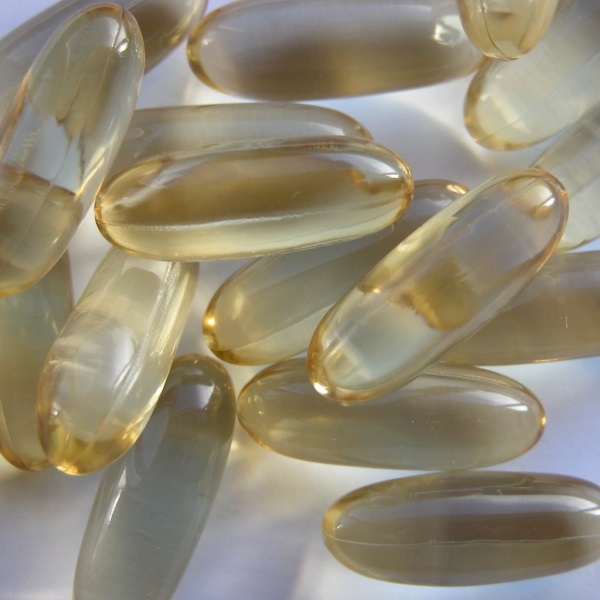 The analysis shows a non-significant trend for increased weight loss with increasing dosages of conjugated linoleic acid, but overall, their results do “not convincingly show that CLA intake generates any clinically relevant effects on body composition on the long term” (Onakpoya. 2012). Bottom line: In view of the fact that the study at hand is an acute response study, I have to admit that it is remotely possible that any of the supplements tested could still trigger long-term fat loss, Salacinski et al. rightly point out that their study refutes the often-heard claim that non-thermogenic herbal supplements would be a fit and safe alternative to stimulants. A replacement that would facilitate similar increases in RMR as nowadays mostly caffeine-based thermogenics without side effects. Anderson, Richard A. “Chromium, glucose intolerance and diabetes.” Journal of the American College of Nutrition 17.6 (1998): 548-555. Greenway, Frank L., et al. “Effect of a Dietary Herbal Supplement Containing Caffeine and Ephedra on Weight, Metabolic Rate, and Body Composition*.” Obesity research 12.7 (2004): 1152-1157. Molnar, D., et al. “Safety and efficacy of treatment with an ephedrine/caffeine mixture. 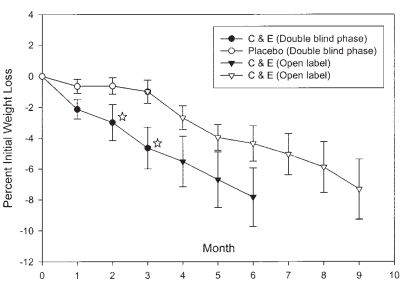 The first double-blind placebo-controlled pilot study in adolescents.” International Journal of Obesity 24.12 (2000): 1573-1578. Onakpoya, Igho J., et al. “The efficacy of long-term conjugated linoleic acid (CLA) supplementation on body composition in overweight and obese individuals: a systematic review and meta-analysis of randomized clinical trials.” European journal of nutrition 51.2 (2012): 127-134. Salacinski, Amanda J., et al. “The Acute Effects of Nonstimulant Over-the-Counter Dietary Herbal Supplements on Resting Metabolic Rate.” Journal of dietary supplements (2015): 1-10. Stickel, Felix, Eleonora Patsenker, and Detlef Schuppan. “Herbal hepatotoxicity.” Journal of hepatology 43.5 (2005): 901-910. Urbina, Stacie, et al. “Effects of ingesting Dyma-Burn Xtreme, a thermogenic dietary supplement on metabolic rate and subjective measures of mood state.” JISSN 9.Suppl 1 (2012): P31.